Aether Revolt swoops in this week to find the mainstream Magic: The Gathering in a bit of a weird place. In the aftermath of a return to the 24 month Standard rotation cycle, a trio of aggressive Standard bans and the specter of a ban cycle with twice as many announcement dates, investing in uber powerful Standard cards just got significantly riskier. So how does one go about trying to make some money on Aether Revolt cards? Well, as per usual now is the time to sell the set if you’re already holding. If you intend to crack cases and sell singles, you should already have them in hand, as within two weeks or less you’ll be dealing with a saturated market and prices that have fallen to lows as much as 40-50% below starting prices. At present there are over twelve rares and mythics from Aether Revolt priced above $5, most of which will fall back to earth in the coming weeks. Secondly, as a small winter set packed with unique cards that are practically dripping with combo potential, Aether Revolt is likely to end up with a bunch of cards that don’t quite have the necessary pieces to make it in Standard, only to show up in other formats down the road as folks figure out the most efficient combo shells. Finally, with the Masterpiece Inventions present in Aether Revolt, the Expected Value of the rest of the set is similarly impacted in the same way as it was with Kaladesh and the recent Zendikar block. On the flip side the set is more densely packed with complex and interesting cards than the average set, which bodes well for the potential value of sealed product once it leaves print. Note: there has been some confusion in the past over the intent of this article series, let’s get clear. Digging for Dollars is about looking for opportunities that aren’t played out yet, not identifying the most powerful cards in the set, or the obvious cards most likely to see the biggest gains. Many of these picks need planets to align to earn you money, so make sure you’ve exhausted your best options before you go digging folks. Where a card has not yet found it’s bottom, or has been hyped above it’s value, I will try to identify the proper entry point. For Aether Revolt we’re going to break up our specs into three categories: Standard Breakout Targets, Potential Eternal Staples and Long Term Casual Targets. The first group generally needs to find a home within the year in multiple standard decks to do well for you. The latter two groups are mid to long term holds that you should be aiming to acquire at their forthcoming peak supply lows for solid potential future gains. Yahenni’s Expertise: This card is an inferior damnation at the same cost that lets you drop a 3-mana planeswalker, a kill spell or a threat onto a theoretically empty board…in the right metagame. The ability to take out a few threats and get one into play will almost certainly show up in Standard, and could hit Modern in the right shell. It’s notable that because this is a sorcery (as is every card in the cycle), it doesn’t work well in decks that run a lot of counters. The card is expensive for a rare at present, so I’m steering clear for now. Sram’s Expertise: This is the only card I’ve tested out so far, and I think it has a likely home as a 1-2 card value accelerator in B/W tokens for Modern. The ability to play this into a Liliana of the Veil, Intangible Virtue, Lingering Souls, Bitterblossom or Smuggler’s Copter is a solid turn indeed. The ability to Snapcaster this back in the late game might also have potential, though I can’t quite picture that shell yet. I like it, but I want it cheaper. Baral’s Expertise: At five mana, this is likely too slow for Modern, where many of the creatures you might want to bounce might be deactivated creature lands, protected by counters or hexproof boons, or already licking their chops from killing you the turn before. In Standard however, I can easily picture a control strategy that wants to bounce your early plays on five, casting Gideon, Ally for Zendikar for free and making a token. Value! 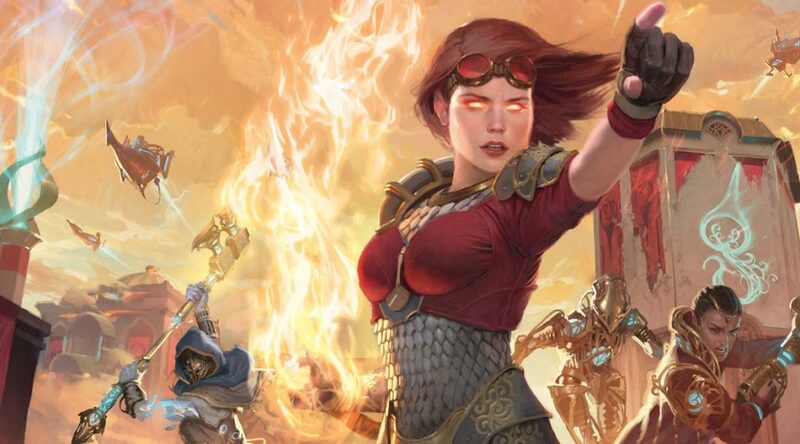 Kari Zev’s Expertise: A great threaten effect typically wants to find a home in a red aggro deck so fast that removing the first solid blocker and swinging with it puts the game away. If you aim to go deeper, you might then have a sac outlet on hand to remove the card from play permanently, and all the better if that outlet happened to be the card you played for free. Maybe there’s a deck that wants this in Standard in the next eighteen months, and maybe not. Maybe the Modern meta gets so aggro heavy that this becomes relevant in something like Naya Zoo, but it’s pretty tough to find free slots in those hyper efficient decks whose curve generally stops on two mana. I’m not very excited about this one so far. Rishkar’s Expertise: Ok, so draw a bunch of cards off my biggest threat and then cast one of them for free? Sounds like EDH heaven to me. This card is going to get down below $.50, at which point I’ll buy twenty copies as a long term penny stock for Commander. The foils should be acquirable around $2-3, and that price range will trigger my acquisition motion. The fact that this only costs five means it will end up getting played in something sweet in Standard, and has an outside chance of being interesting in Modern, but that’s just gravy here. Ultimately, as with many of the cards in this article, it will be time and new cards that are most likely to eventually unlock the true power of these open ended powerhouses. So far, all I know is that I want to be holding cheaply acquired play sets in multiples when the value train rolls through town. 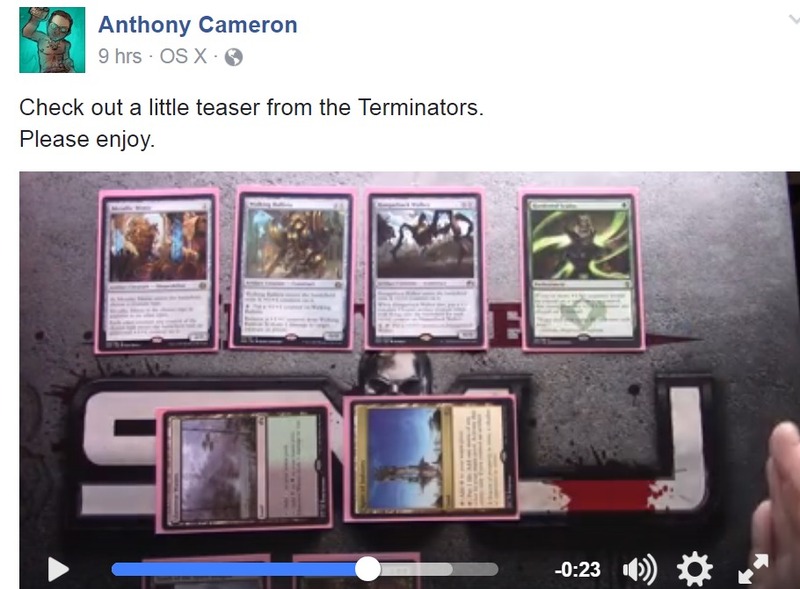 There are inevitably going to be faster ways to kill people, but the allure of alternate win conditions is usually enough to get people brewing, and with all of the artifacts lying around in this set, I can picture a world where this ends up being a 4-of in a Blue/White servos deck that casts Baral’s Expertise into Sram’s Expertise into Servo Exhibition or something and wins with this card on Turn seven or eight while hiding behind Metallic Rebuke. A Metalwork Colossus deck might find room for this as well. The fact that this card starts cloning a potentially dangerous card on your side long before it actually wins the game helps justify the experiment. On the other hand, most of these “alt win” cards fail to get anywhere financially, so I’m not really interested unless the card gets down to $1, or shows up on camera in something sweet that can actually win games consistently. This card has a non-zero shot at seeing play in Modern and will definitely see play in Frontier. If you cast this off a cracked Fetch on your second turn, this is a 4/3, which is a solid rate. If your first turn involved the casting of Hardened Scales, this thing is a 5/4. The card could easily end up as a 4-of in Standard as well, though Revolt is somewhat harder to turn on in the format at present than it is elsewhere. 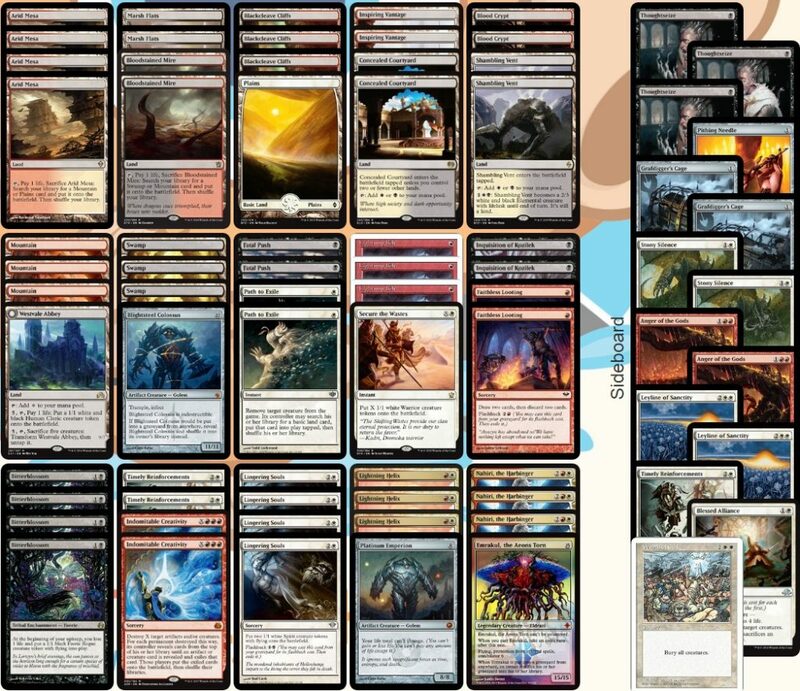 At some point a Hardened Scales deck may hit a tipping point in Modern and finally be worth playing in lieu of Affinity, Naya Zoo, Burn, Infect or Death’s Shadow. That time may even be near, but even if it isn’t, being an elf never hurts a card’s long term prospects. If you think you are going to play it this year, $4 play sets are a perfectly reasonable expense that might yield longer term benefits. At $3, foils are also pretty safe, and may get as low as $2 if the card doesn’t make a splash. I’m not prioritizing this card, but I’ll definitely own a set. Between Improvise and the Expertise cycle, the predominant theme of future money cards from Aether Revolt is going to be the same thing that has resulted in countless busted cards from Magic’s past: reduced casting costs. As a flexible artifact tutor that can achieve reduced cost via tapped artifacts, Whir of Invention is basically the blue Chord of Calling, a card that has already proven itself to be Modern playable many times over. I don’t need too much convincing that completing artifact based combos or searching up relevant threats is a powerful and flexible package that is going to end up at the center of a new archetype somewhere along the way. With foils currently holding a 7-8x multiplier, clearly I’m not the only one with designs on making this work. Keep an eye out for delayed success to trigger lower prices and you have a solid prospect worth stashing away. What’s important here is that this guy sets up value and combos with three different card types, and two of them (Auras/Equipment) already had significant role players (eg: Puresteel Paladin, Argothian Enchantress, Eidolon of Blossoms) waiting for some additional redundancy to show up. Being a Legend might dissuade some decks from playing a full play set, but then again, the effect might be more important than having a copy trapped in hand if this ends up driving a new Modern deck. I’m happy to start with foils near my target, on the basis of inevitable EDH/casual play, and move in on non-foils at peak supply to accumulate 20-30 copies for whatever unfolds beyond the obvious. Walking Ballista is the latest in a long line of artifact creatures that will be underestimated by many at first glance, despite already showing up in a pile of proposed deck lists and enjoying a hype spike. The important thing for the long term here is that this clunky looking construct wins the game on the spot whenever you have access to either a lot of mana or a lot of +1/+1 counters. There are all sorts of potential combos floating around that can use this as a finishing move. Myr Retreivers + Krark-Clan Ironworks + Arcbound Ravager kind of stuff, but perhaps a more elegant solution that requires fewer puzzle pieces will reveal itself. In Standard, the card fits into the GW Tokens deck with Nissa and Rishkar, Peema Renegade, or possibly into GB brews that work with Winding Constrictor. It will also end up seeing play in the myriad counter based EDH decks. The price is too high at present to be chasing after this one, but keep an eye out for falling prices at peak supply or if the card fails to perform in Standard and stock away a few for future brewing efforts. Again with the cost reductions, but that’s not the whole story. What I really love about this card is that it offers brewers the ability to think wayyyy outside the box, reaching for a world where they can get a bunch of artifacts into play more easily than other ramp options, with an end game that involves casting either a) a non-artifact spell that wouldn’t normally be easy to ramp into and benefits from board state full of tapped artifacts or b) a cost reduction ability like the one on Etherium Sculptor that lets you chain a bunch of spells in a flurry for purposes yet unknown. Cards like this are hot garbage right up until the exact moment their true calling is uncovered, and are likely to get real low and let you stock up at your leisure, but keep an eye out for articles or camera time that could change the game plan in a hurry. This card could easily end up getting busted down the road. Sure, it costs three solid red mana just to get going, and is therefore an effectively awkward 4-5 mana spell, but that spell is a multi-tutor for a flurry of busted cards that pop out of your deck to wreak havoc. In comparison to past cards with similar effects, such as Shape Anew or Nahiri, the Harbinger, Indomitable Creativity has the benefit of being able to tutor for either redundant game ending threats or combo pieces that effectively do the same thing. The fact that you can also use this to remove potent threats on your opponent’s board while going off is a nice bonus. The key to making this all work out is that you want the only artifacts or creatures in your deck to be things that win the game. Sure, you also need a way to generate artifacts or creatures that doesn’t include casting those card types, but that’s not too tough in formats beyond Standard. One approach is to use spells to get token creatures or artifacts into play to set things up. Here we use point removal ot hold down the fort, and look to translate Bitterblossom and Lingering Souls tokens into Emrakul, Platinum Emperion and/or Blightsteel Colossus on five or six mana. That has my attention. For this to ever be a thing, a few things need to line up. You need a meta where you can consistently get a 1/1 flyer in for damage and where stealing your opponents ability to cast non-creature spells is powerful. You’re really doing it if you figure out how to recurse this thing and give it Haste, perhaps via Thopter Engineer. Trinket Mage and Ranger of Eos can go find this card, and Leonin Squire can bring it back. Master Trinketeer makes it bigger, and Silence and Isochron Scepter could form the nucleus of a soft lock. 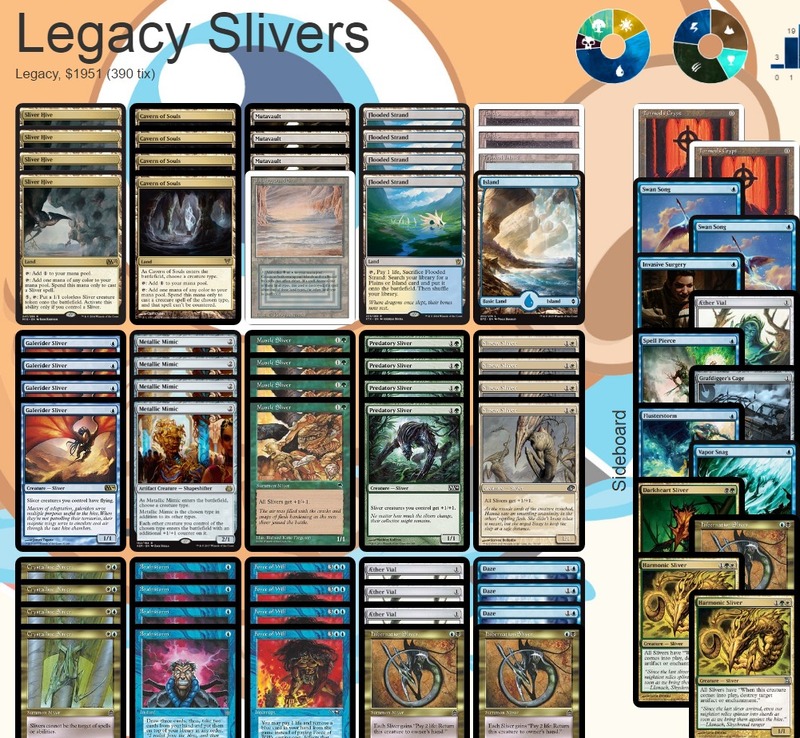 I only listed the foil prices above because the formats I can see this being most useful are Legacy and Vintage, where Xantid Swarm has been useful out of the sideboard. This one is a definite long shot, but it sets off my spidey senses and I’ll likely pick a few up once they get cheap for a casual Thopters deck if nothing else. Prices on this card are high for a rare so far, likely because the open ended synergy it represents in nearly every format is obvious, but I have a feeling that the one format it won’t make a splash up front is Standard, and that should mean that peak supply and summer sales will get us to our price targets to stock up for the long game. Do not underestimate the power of a universal utility “lord” that can slot into almost any tribal deck and carries the additional benefit of conveying blessings via the distribution of +1/+1 counters instead of a standard buff. The counters certainly matter if your tribe can double up the bonus under a Hardened Scales or similar effect and a colorless lord adds flexibility to multi-color tribes. I live for colorless cards that can slot into dozens of decks in multiple formats, and gain additional synergies over time. I’ll be going pretty deep on this spec when the price floor is reached. 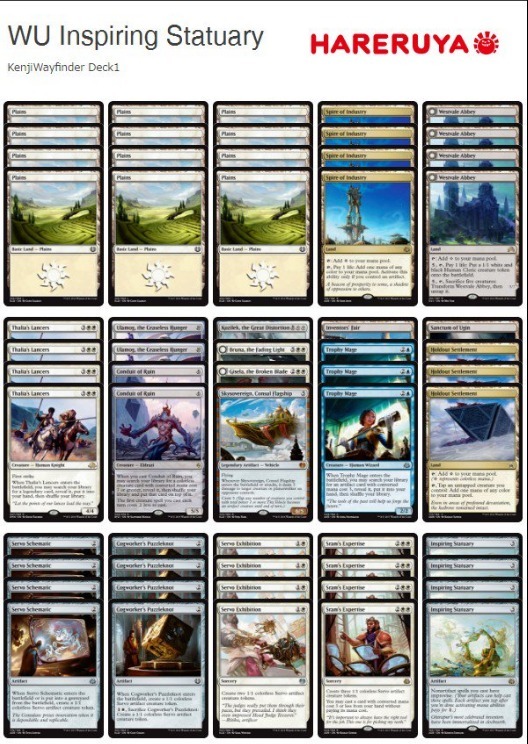 Rishkar is going to see play in Standard and everyone knows it, so you’re likely going to need to wait for the renegade elf to fall out of the meta before you get a shot at better pricing for the long term. As with Sram, being a legend hurts a bit, but the supreme utility of both buffing creatures and turning them into Llanowar Elves is going to be popular in casual circles for years to come. Interactions with Atraxa, the other “cares about counters” commanders, and Hardened Scales/Doubling Season only bolster the appeal. Geeeeeeez. This card looks like it fell off the back of the Urza’s Saga block delivery truck and got delivered to Kaladesh by mistake twenty years late. Make no mistake, this card is busted. There are so many ways to abuse the “cast something, untap everything” ability strewn across the history of Magic that it’s going to take years to uncover them all. Our best case here is that no one figures out how to bust it in Standard or Modern for a while, which should should set up a solid entry point by later spring/early summer. At minimum, foils will be at a premium in Commander/EDH given enough time for supply to drain out of the market, so it might be tougher to find a deal on those and the Masterpiece printing should end up the gold standard on the card in EDH regardless. This thing isn’t Sol Ring or Rings of Brighthearth good because it really wants permanents with mana or tap abilities in quantity to hit full potential and as such, can’t just slot into any old deck. That being said I will be keeping a special eye on the price of the Masterpiece Invention version of the card in Europe, hoping for some sweet arbitrage opportunities. There is a world where GW will end up playing this in Standard, but so far it’s not looking to promising. As a result, I think you’re going to see this card sink down to bulk status in a hurry, at which point I’ll be looking to go fairly deep for the long haul. Counter based team buffs and cheaper PWs will both have a shot in EDH, and casual demand will buoy the card a few years out if nothing else on the back of the unique set of effects. There’s no rush to get push your chips in, but it’s a nice pet card to stash a pile of. Card is good, will see play in Standard, but mostly as 2-3 of, and likely only in GW alongside Nissa and Gideon. It gains more options as more sets appear, but I think this falls under $10 before a better long term entry point appears in summer. Sure, Saheelis from Kaladesh, but her hottest combo is from Aether Revolt and the possibility of a ban in five weeks make this a definite sell. Either the deck does too well, and gets the ban hammer, or it doesn’t do very well, and demand for Saheeli flags. The middle ground where the deck is good, folks keep buying in on it but it doesn’t cause trouble is too narrow for my liking. If you were in below $10, selling into this hype train will leave you with solid profits regardless of what happens next. So there you have it. Anything I missed that you’re on top of? Logic to kill one of the specs? Have at it. Let’s figure it out! Been reading about Yahenni’s Expertise with Yahenni. Based on every judge forum I’ve found, casting Yahenni themself as the free spell from the expertise would not get counters. The effect of the first part of the spell resolves and then the free spell is added to the stack at the same time, state based actions are checked, creatures die, then if nothing else happens Yahenni hits the battlefield. Has to work this way or else you couldn’t cast the cards you drew from Rishkar’s Expertise. If that’s what judges have ruled, I stand corrected. Why is a writer for this site falling victim to this fallacy? The entry point price makes no difference as to whether or not you should sell. If the price will go down, you should sell. If the price will go up, you should hold. Whether you bought it at $20 or $10 makes literally no difference at all from a rational perspective. I agree with you, but that wasn’t what I was getting at. My point, perhaps poorly expressed, was that if you bought in at $20, you clearly believe the card has room to grow and selling right after buying only makes sense if you change your mind. Very nice analysis. My suggestion would be to revisit after six weeks, as that is when MM17 will be out and supply will be at a plateau. Not sure if that is part of your modus operandi. The key question whether a card will break out in standard or not: Will it be able to deal with Saheeli twin? If not, then demand will not be too high. Just my thoughts. Generally speaking I revisit the previous ideas in future articles. In this case, it’s been a while since I published one, so we’ll wait until next time to check in. Well, that looks like of silly now, doesn’t it? Serious time though: does one sell Walking Ballista now, or does one hold out for it to hit the $20.00 high water mark for Standard cards like this? Absolute sell. It’s not a mythic, it will be opened, so the price will definitely drop. Is there even as many as twenty? Hangarback Walker and Thragtusk both briefly hit twenty… I can’t think of too many other non-eternal rares that did. I would hold a bit more. I think that the high peek value will come in one week and a half with the pro tour. Then sell. to Wikipedia– it’s likewise a truth.